This week we have plenty still coming off the back of CES 2017 from the Nintendo Switch announcement and HTC U Ultra reveal to the Panasonic Lumix GH5 and more. Nintendo has fully revealed its Switch console. Now we know it’ll have a £280 price, be out on 3 March and will have Zelda: Breath of the Wild released at the same time for launch. 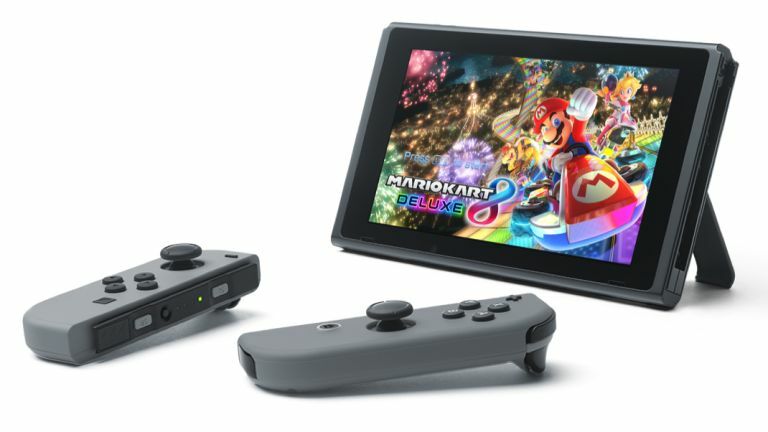 The Switch allows gamers to take the tablet console out from its dock after gaming on TV and use it with the Joy-Con controllers for on the go play. Check out everything revealed in the feature link here. HTC has revealed its next flagship handset in the HTC U Ultra which comes with a second screen to compliment the main 5.7-inch display. The idea is to offer low power notifications without needing to fully power up the handset. There’s a front-facing camera that switches from 16MP high resolution images to a 4MP ultrapixel mode – meaning you get the best shots whatever the light. It’s powered by a Snapdragon 821 processor and has up to 128GB storage. The Monster in-ear buds are some seriously sparkly offerings meaning even though they’re wire-free they’ll be tough to lose. Well, this version will anyway. They all offer 2.5 hours on a charge but with the charging case can top out at 21 hours. Monster claims they offer zero latency and will come in the Elements and iSport ranges. Elements are due first priced at $300 which is about £245. The latest Lumix GH5 from Panasonic offers some serious power that means it can boast 4K video recording to 60fps plus a 20.3-megapixel sensor for what it calls 6K Photo. This lets users take moments from the 4K video to export into 18-megapixel photos. The new sensor allows for 25 percent more pixels in images and videos. It’s also rugged with water-, dust- and freeze-proofing. A bargain then at $2,000 or about £1645.